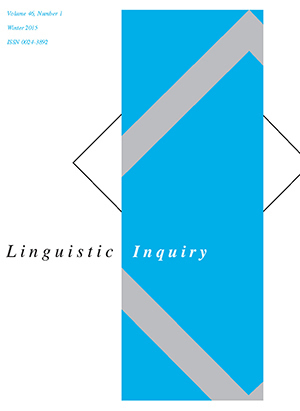 The analysis centers on the notion of category in synthetic and analytic verbal forms and on the status of the feature that determines the forms of the Latin perfect. In this part of the Latin verbal system, active forms are synthetic (“verbs”) but passive forms are analytic (i.e., participle and finite auxiliary). I show that the two perfects occur in essentially the same structure and are distinguished by a difference in movement to T; moreover, the difference in forms can be derived without reference to category labels like “Verb” or “Adjective” on the Root. In addition, the difference in perfects is determined by a feature with clear syntactic consequences, which must be associated arbitrarily with certain Roots, the deponent verbs. I discuss the implications of these points in the context of Distributed Morphology, the theory in which the analysis is framed.